Without a doubt, the best hard-side luggage to check on your next flight is TUMI’s Latitude Extended Trip Packing Case. Tough yet luxurious, this case is lightweight and durable, with a streamlined design for easy maneuvering. 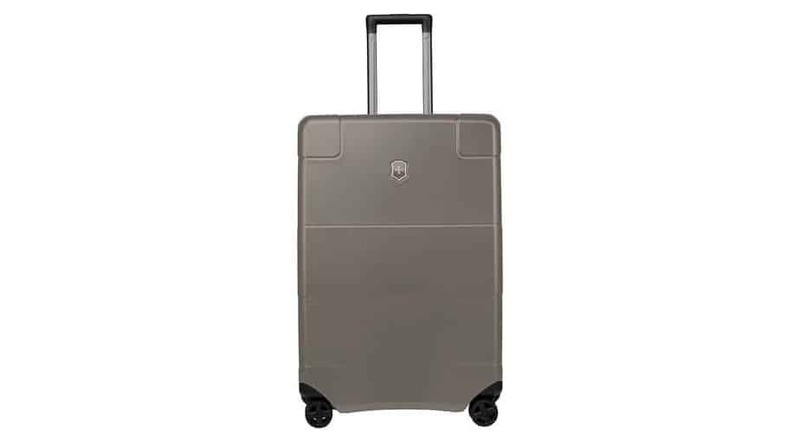 If checking soft-side luggage is more your style, then the best luggage for you is definitely Victorinox Werks Traveler 6.0. The Werks Traveler is a sleek and stylish option — whether you travel for business or pleasure. Do you wait until the last minute to pack? We do. Regardless of how early (or how late) you do your packing, take your travel game to the next level and treat yourself to some of the best luggage on the market. And instead of holding up the boarding process while you try to stuff an oversized bag into the overhead compartment — what’s in that thing, anyway?! — check your luggage. That way, the airline will take care of things, and you’ll be able to relax and enjoy your flight as you dream about all the adventure that lies ahead. Unsure of where to start shopping for luggage? Don’t worry, RAVE has you covered. We put together a ranking of the best hard-side and soft-side luggage to check on your next flight. But before that, we took a deep dive into the world of luggage. What are all the different kinds of luggage? What exactly is a toiletry bag? Are 4 wheels really better than 2? Hold on, travelers — because you’re about to find out. 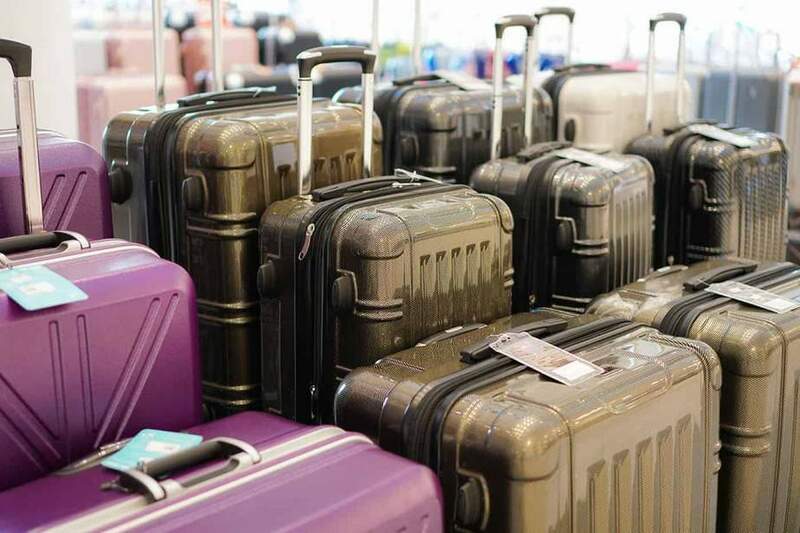 You'll be proud to claim any of these suitcases when they come down the baggage claim carousel. The Latitude Extended Trip Packing Case is a well-crafted, easy-to-maneuver option, ideal for long trips or sharing a suitcase. With TUMI, you’ll travel secure in the knowledge your belongings will reach your destination safe and sound. This soft-sided luggage from the same manufacturer as the Swiss Army Knife helps you travel like a pro. It’s focused and flexible — a bit like you. With high-end design and cutting-edge tech, the Werks Traveler has all you need in soft-side. Travel in style without emptying your bank account. 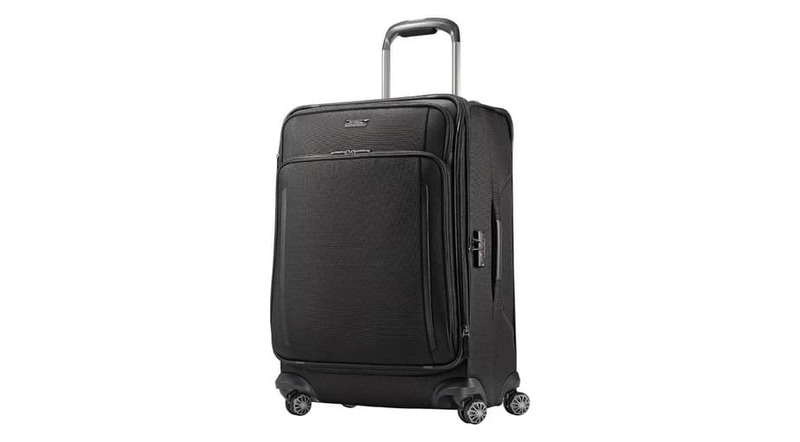 The Samsonite S’Cure is safe and reliable, made from Flowlite polypropylene, with multidirectional spinner wheels and a TSA lock. Figuring out the type of luggage you need is a good first step in buying the best checked luggage for you. First, let’s familiarize ourselves with some features commonly found on pieces of luggage. By the end of this section, you’ll be an expert on the difference between roller and spinner suitcases. Just the kind of information you didn’t know you needed. The difference between hard-sided luggage and soft-sided luggage is pretty much right there in the name. Hard-sided, or hard-shell, luggage is usually made from polycarbonate, ABS plastic, or heavy aluminum. The sides are hard. This kind of luggage is nice and sturdy, but prone to dings and scratches. Soft-sided, or soft-shell, luggage is often made from heavy-duty, space age nylon. It’s lighter than hard-sided luggage, and better for tight quarters. Soft-sided luggage, however, can sometimes be less durable and less protective than hard-sided luggage. Most luggage has wheels. The real question is, do you need 2 wheels or 4 wheels? Roller suitcases: Suitcases with 2 wheels are called rollers. The recessed wheels are unlikely to suffer damage on bumpy terrain. Rollers handle well over curbs, on sidewalks, and across rough pavement. 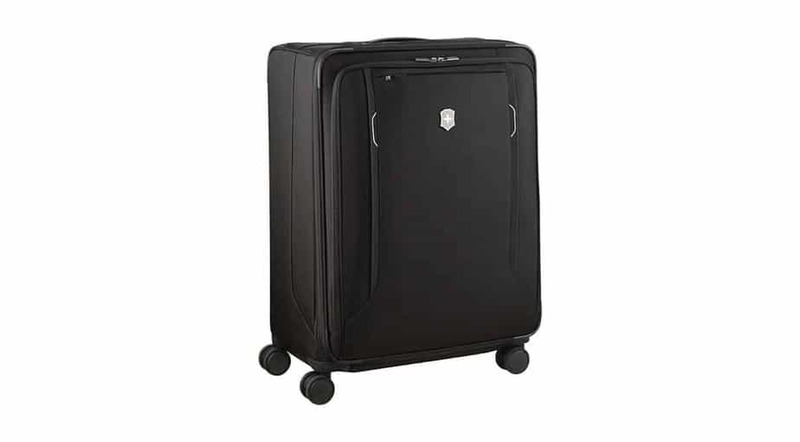 Spinner suitcases: 4-wheel suitcases earn the name “spinner” because their wheels turn 360 degrees. They are ideal for maneuverability in crowds and tight spots. Spinners, however, don’t handle well on uneven surfaces. Not a lot to say here other than it’s important to check all zippers run smoothly before purchasing luggage. After all, a storage compartment with a broken zipper isn’t much use to you, is it? How many pockets your luggage should have is mostly a matter of personal preference. Will you need to keep a travel guide or map handy? If so, then consider exterior pockets — an advantage of soft-sided luggage. Interior pockets help keep your stuff organized. But maybe a single large interior compartment is enough space for you, or maybe you prefer to minimize interior pockets so you can use your own travel cubes or packing organizers. To sum up, when deciding on how many pockets your luggage will need, consider where you’re traveling and how you like travel. Again, this is a matter of personal preference. However, brightly colored luggage, or luggage with a distinctive design, can be easier to spot at baggage claim. Bright colors do, however, show wear and tear more easily than solid-colored luggage. Don’t waste an ounce on heavy luggage. If your bag with wheels is more than about 12 lbs, or if your bag without wheels is more than about 4 lbs, they’re too heavy. After all, weight = money paid to the airline. Luggage can cost a little or a lot. On the low end, you’ll find bargain luggage for less than $100. On the high end, luggage can cost over $1,000. Knowing your budget before you begin shopping will narrow your options, helping you find the best checked luggage in your price range. With that out of the way, let’s do a quick rundown of the different kinds of luggage. Large suitcases: These suitcases are exactly that: large. Meaning you can pack more. But if you use these, you’re gonna have to check them. Once upon a time, hard-sided large suitcases were made of sturdier stuff than their soft-shell cousins. But these days, with advances in manufacturing material, the durability playing field is pretty level. Garment bags: And the award for most outdated-sounding piece of luggage goes to the garment bag! Who wears “garments” anymore, anyway? Well, maybe one day you’ll want something designed to carry your clothing on hangers. That way you’ll keep all your dressy stuff wrinkle-free. When that time comes, get a garment bag. Toiletry bag: From shampoo to razors, toiletry bags help keep all your bathroom “me time” supplies in one spot. Just be sure to keep your toothbrush separate from your hairbrush, because a hairy toothbrush is the worst! Duffel bags: Duffel bags are soft and roomy, and they come in a variety of sizes. They’re ideal for weekend road trips, or really any excursion in which a large suitcase would be overkill. Think: the same kind of bag you used in high school gym class (only way, way nicer, if you get one of the duffel bags from our list of the best carry-on luggage). Carry-on bags: Most airlines limit carry-on bags to about 22” x 14” x 9”. They’re small suitcases or bags, intended to be stowed in the overhead bin. Luggage sets: Sort of like Russian dolls, most luggage sets consist of a few suitcases of various sizes, designed to nest inside each other for storage. Some even come with a toiletry bag or garment bag. So you’ll have that going for you. Without wasting any more time, let’s get shopping. 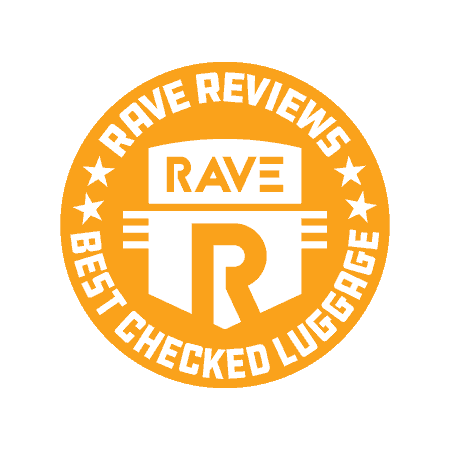 When compiling this list of the 10 best pieces of luggage to check at the airport, RAVE wanted to bring you nothing but the very best. So we examined hundreds of consumer reviews, as well as gathering advice from luggage industry experts. We even took some cases out to test them for ourselves. All of this information went into determining our list of winners. Take a look at our ranking and we’re confident you’ll find the best checked luggage for you. 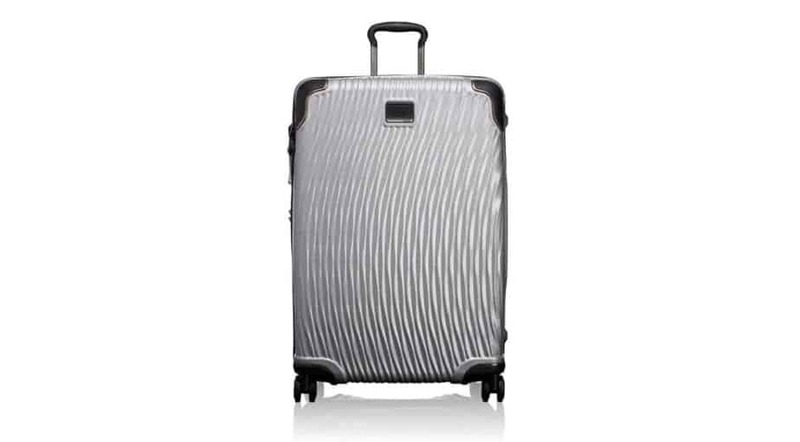 Explore exotic longitudes with the hard-shell TUMI Latitude Extended Trip Packing Case. Durable, tough, and lightweight, the Latitude is also luxurious. It’s designed for extended travel, or for when you need to share a suitcase with another member of your traveling party. Made from unique SRPP Ballistic material, the TUMI’s outer shell can take whatever you throw at it as it bends and flexes to its surroundings. And the streamlined design and brand-new wheel system make smooth maneuvering easier than ever. On the inside, the TUMI Latitude is fully lined, featuring 2 packing compartments, a hanger bracket, mesh tie-down straps, and 3 zip pockets. And on the outside, you’ll find zip entry to the main compartment, an integrated low-profile TSA lock, 3-stage telescoping handle made of aircraft-grade aluminum, and 4 lightweight spinning wheels. 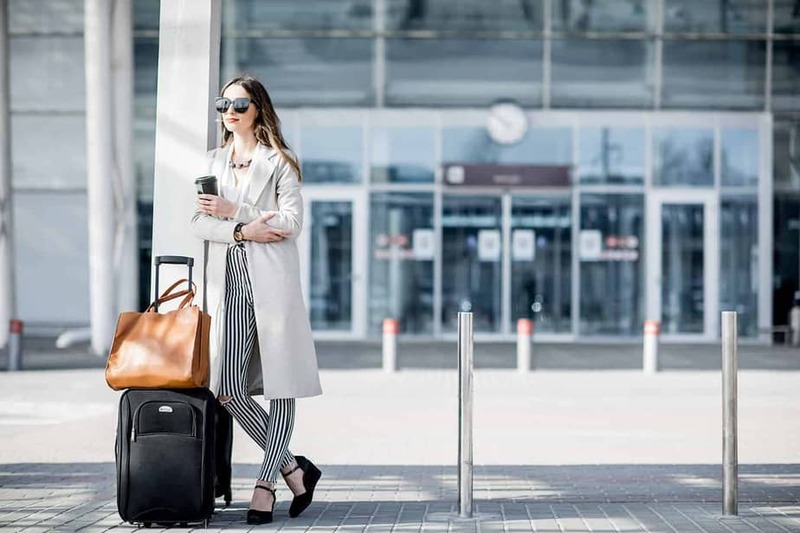 You’ll also enjoy the peace of mind that comes with having Tumi Tracer — a complimentary program helping TUMI customers reunite with their lost or stolen luggage. Product dimensions are 30” x 20.5” x 11.75”. It weighs 9 lbs, and has a capacity of 96 L. Multiple colors are available. Try the TUMI Latitude, and you’ll agree it’s the best hard-sided luggage to check on your next adventure. The Samsonite S’Cure is made from cutting-edge material called Flowlite polypropylene. This creates a thinner shell without losing any of the strength Samsonite is known for. With Samsonite S’cure, your valuables will stay safe behind the 3-point locking system, combining key and combination locks for maximum security. There’s also a TSA-approved main lock. And if your case is ever lost or stolen, a customizable integrated ID tag at the back of the suitcase will help you find it. Not only will your stuff stay secure, it will also stay dry and clean. A rubber frame gasket repels moisture, preventing dirt from getting into the luggage. There’s also a multi-stage aluminum pull handle and 4 multi-directional spinner wheels, allowing 360-degree upright rolling in multiple directions. The luggage weighs 11.2 lbs, and the overall dimensions are 29.75″ x 20″ x 12″. With the Lexicon, Victorinox combines practical know-how with the kind of technical thinking you’d expect from the company that also makes the iconic Swiss Army Knife. First of all, there’s cutting-edge molding technology. Super-recessed wheels and haul handles contribute to the thoughtful design. And don’t forget the X-shaped compression straps and 2 zippered mesh accessory pockets. Inside, a zippered divider wall with large, easy-to-clean pockets helps make packing a breeze. If you travel for business, you’ll love the removable full suiter, perfect for keeping your work clothes crisp and wrinkle-free. The 100% virgin polycarbonate shell resists cracking and dents, and the Combination Recovery Program allows you to register your lock combination on victorinox.com, making password recovery easy and convenient. The case is sized 11” x 17.7” x 26.8”. 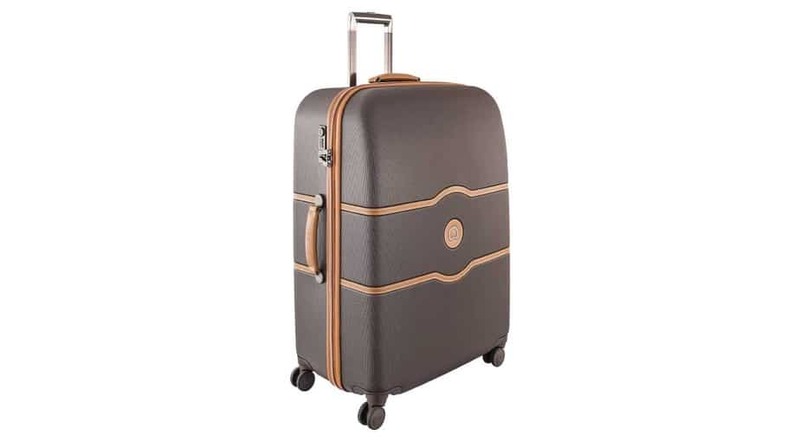 It weighs 10.2 lbs, and has a capacity of 73 L.
Designed with the timeless beauty of Paris in mind, the Delsey Châtelet Hard + is made from durable 100% virgin polycarbonate with faux leather accents. The polycarbonate is formulated to achieve the highest standards of extreme temperature and impact resistance. Also unique to the Châtelet is a brake system that locks the front wheels. This prevents your luggage from rolling away. Operating this handy brake system is as easy as pressing a button. The silent running double spinner wheels offer superior maneuverability, too. When it comes to security, the Châtelet keeps your belongings safe behind a recessed, integrated, TSA-accepted lock. You can even register your bag for free at Delsey.com/security. 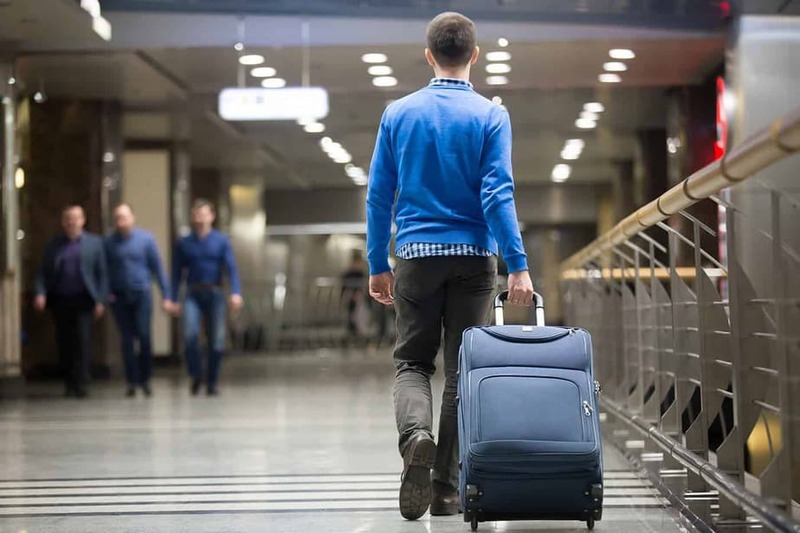 A tracking plate on the back of the luggage can help locate the case if it ever gets lost. On the deluxe interior, you’ll find a removable hanger plus laundry and shoe bags, as well as 2 full packing compartments with tie-down straps and a zippered divider. As an added bonus, the product comes with Delsey’s worldwide limited 10-year warranty. The luggage dimensions are 30.25” x 21” x 12.75”. It weighs 12.6 lbs. The high-end Rimowa Hybrid unites the durability of aluminum-magnesium alloy with the lightweight quality of polycarbonate. What else would you expect from German engineering? Each suitcase comes with TSA-approved locks, easily opened by airline security at baggage checks. And the height-adjustable Flex Divider is perfect for helping you stay organized with your packing. You’ll enjoy stable and effortless steering on ball-bearing mounted wheels with cushioned axles — all technology pioneered by Rimowa. And the telescopic handle is engineered for maximum comfort and smooth maneuverability. The interior and all dividers are cotton, with leather handles and KK metal zippers. Each suitcase is inspected individually to ensure best-in-class quality. Rimowa offers a 5-year guarantee, while the brand’s hotel repairs program will ensure your luggage is in good working order if any issues should arise while you’re traveling. This case weighs 12 lbs, and the product dimensions run 26” x 17” x 10.3”. It’s available in matte or gloss. For streamlined and stylish business travel, look no further than the Werks Traveler 6.0. With the Werks Traveler, you’ll be able to bring all of your important belongings with Victorinox’s unique Pack More system. The system includes X-shaped compression straps, a removable tri-fold suiter, and 2 large mesh side pockets. It also includes a flat packing surface for wrinkle-free transport of business wear. There’s also a padded 15.4’’ laptop compartment and a large, zippered compartment capable of expanding up to 4 cm. The soft-shell case is made from extra-strong, abrasion-resistant nylon. And it’s fitted with a Swiss-engineered handle system providing maximum comfort and stability. You’ll also appreciate the Hinomoto wheels with Lisof silent tires, self-cleaning YKK RC coil zippers, and the integrated USB port. The case measures 15.4” x 21.3” x 27.6”, with a 104 L capacity. It weighs 10.7 lbs. Thanks to its array of specialty features, the Werks Traveler easily takes the top spot for the Best Soft-Sided Checked Luggage. The Silhouette luggage series from Samsonite stands for innovation. 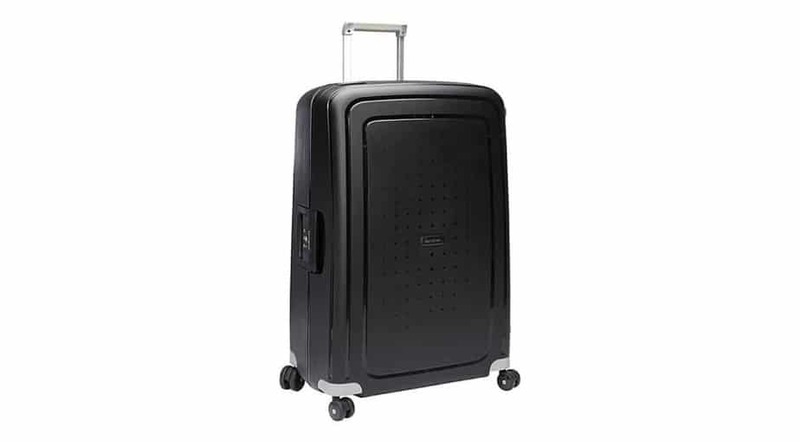 Expect comfort, capacity, mobility, and adjustability from this suitcase. We especially love the luxurious cushioning and soft rubber seals on the new, wider pull handle. Plus, Samsonite’s RightHeight Pull Handle system allows you to set the handle at the position that’s best for you — preventing stress on your arms, neck, and back. And the Tru-Trac wheel system assures easy maneuverability over all sorts of terrain. On the exterior, Tricore nylon with SamGuard protection provides water-resistant coating. The interior includes numerous zippered compartments for painless organization of all your belongings. Compression straps keep clothing neat and orderly for your entire trip. And while you’re on the road, minimize wrinkles with the lightweight hanging organizer that comes included. It’s all kept safe with the Travel Sentry combination lock. Product dimensions are 26.5″ x 18.0″ x 11.5”, and it weighs 10.9 lbs. Featuring patented CX Compression-Expansion Technology, this soft-shell spinner expands up to 25% of its original size. And then, like magic, it compresses back down to prevent any shifting of contents during travel. The lightweight, hybrid fiberglass frame retains its shape no matter what you throw at it, providing second-to-none flexibility and durability while you’re on the road. The aircraft-grade aluminum handle system comes with 4 stop heights. And you’ll avoid inconvenient jamming with Briggs & Riley’s signature V-groove handle tubes. There are also 4 re-engineered double swivel wheels, creating 360-degree maneuverability over any terrain you might need to navigate on your travels. This luggage boasts highly durable YKK Racquet Coil zippers, complete with ergonomic zipper pulls and a lockable main compartment. There’s also a lifetime warranty. That’s right — lifetime. The luggage measures 22.5” x 18” x 10”. 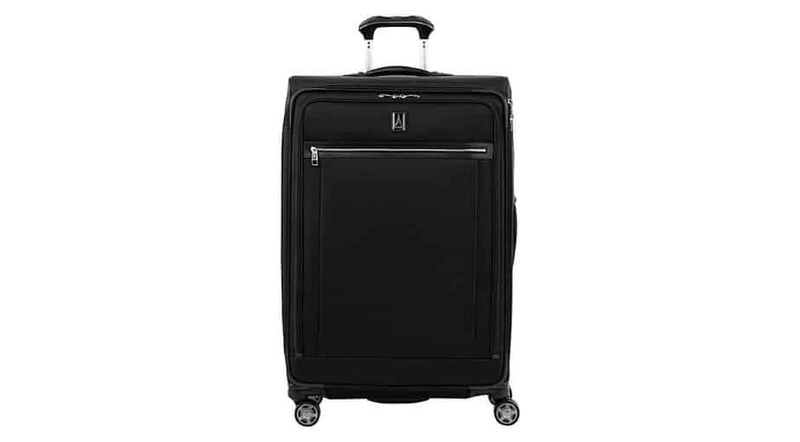 It carries up to 83 L.
No list of the best soft-sided luggage would be complete without the TUMI Alpha 2. 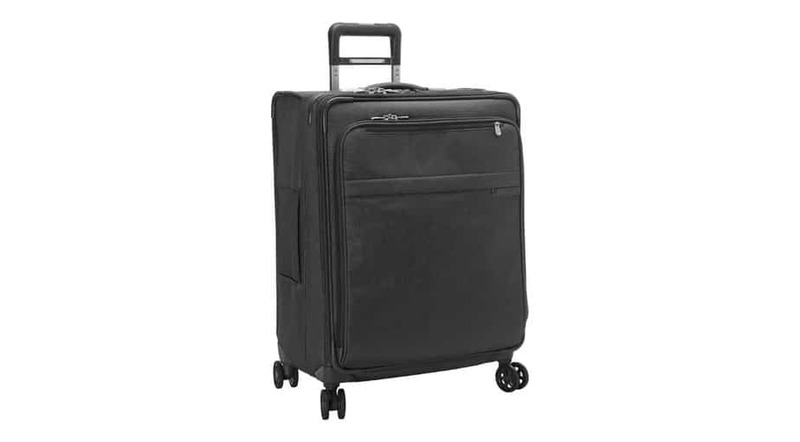 Unique to this spacious and versatile suitcase is an innovative split-case front entry to the main compartment. This provides easy access to your travel necessities, while allowing you to keep your items separate and organized. The case is made from TUMI’s patented, ultra-durable FXT ballistic nylon. It comes with 2-stage frame expansion for improved packing capacity. You’ll also find a 3-stage telescoping handle, side grab handles, protective bumper guards, and 4 recessed dual-spinning wheels. If you’re traveling for business, you’ll appreciate the removable suiter section with fiberglass rod. Other helpful features include one passport pocket, 2 zip pockets, one mesh zip pocket, compression straps, and a hanger bracket (hanger sold separately). Deck out your Alpha 2 with the colorful Tumi Accents kit for an additional cost. The kit includes luggage tag, monogram patch, handle wrap, and zipper pull ties. And like all TUMI products, this case is protected by the Tumi Tracer program. Product dimensions are 29” x 20” x 13”. It weighs 16.94 lbs, and carries up to 98 L.
The big and beautiful Platinum Elite is a top-of-the-line suitcase designed for durability. It’s made from scuff- and stain-resistant fabric, with leather accents and chrome zippers. If you’re headed out for a long trip — or packing for more than one person — the Platinum Elite is for you. There’s plenty of space — 2 inches more than you’d expect from the frame size, to be exact, thanks to Platinum Elite’s tip-resistant tapered expansion. There’s also an integrated, TSA-compliant lock to keep your stuff secure without preventing authorities from unlocking the suitcase when performing checked-bag inspection. The fold-out suiter helps prevent wrinkles in your clothing. And a deluxe interior tie-down system and integrated accessory pockets help keep everything in place. When it comes to mobility, Travelpro has you covered there as well. The PrecisionGlide system includes 8 MagnaTrac self-aligning 360-degree spinner wheels. And, to top it all off, your purchase will be covered by Travelpro’s Lifetime Limited Worry-Free Warranty. Product dimensions are 29.5” x 20.5” x 12.75”. It weighs 11.5 lbs, and it holds up to 143.5 L(!). Is it better to roll or fold clothes? When it comes to packing, space is at a premium. Some say roll your clothing to make the most of limited suitcase capacity. Some say fold your clothing instead. Which is better? The best method for you depends a lot on what kind of traveler you are. If you’re a business traveler, you’ll probably want to fold your clothes. Start by folding at the creases, and maybe even lay some tissue paper between your articles of clothing to minimize wrinkles as much as possible. When traveling for leisure, you might want to roll your clothes to save space. For shirts, fold the body in half vertically. Then fold in the sleeves and roll tight. For pants, simply fold them in half and roll them up. Pack the rolled items in your luggage as tightly as possible. To keep your clothing rolled, you can use a rubber band, or packing band. We recommend using a travel cube or compression bag. There is some disagreement about whether rolling clothes actually saves space. In fact, some say folded clothing left in a suitcase will compress up to 8% overnight, while rolled clothing will not compress. There are pros and cons to folding and rolling your clothing. Try both methods on your next trip and see which one is best for you. How do I fit the most in my suitcase? Follow these simple suggestions and you’ll be a Packing Ninja, Master of Luggage Tetris. When in doubt, stuff it in your shoe. To maximize space, shoes should always be packed sideways. But there’s also a lot of wasted space inside the shoes. To take advantage of that space, stuff your shoes full of small items like jewelry or socks and underwear. Before storing your stuff in your shoes, you might want to first put it in something like a zip-lock bag. Zip and add. Even when you’re sure you’ve run out of space, zipping up and then reopening your suitcase might expose extra space in corners and between items. Use travel space bags. No, these bags aren’t actually for traveling in space. What they are for is compressing bulky items, like sweaters, as small as possible. Try the bundle packing method. First, fill a small pouch with soft items. Then wrap larger items around the pouch to form a bundle. Fans of this packing strategy say it will save space and help prevent wrinkles, folds, and creases. Try it and find out for yourself. Try packing folders. Packing folders usually come with boards, helping you fold your items as efficiently as possible to save space and reduce wrinkles. How do you pack a suitcase for an international flight? Before heading off on that trip of a lifetime, it’s a good idea to familiarize yourself with some ground rules for international flights. 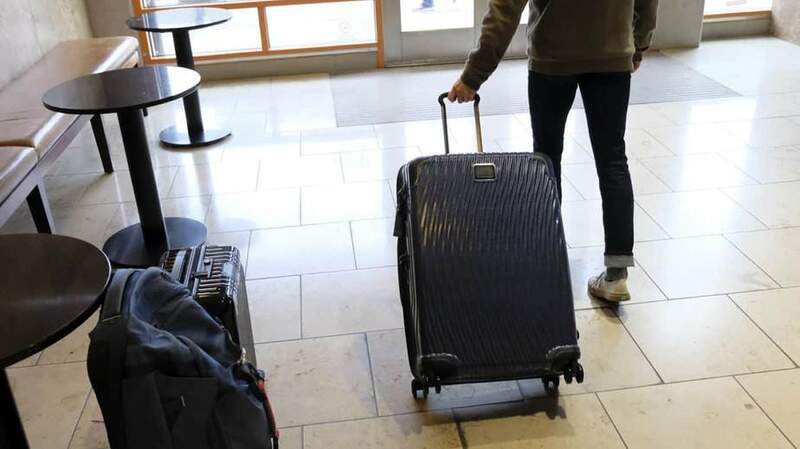 Carry-on luggage restrictions vary between airlines. But what’s consistent is they’re strictly enforced. Here are some general rules about carry-on luggage. Passengers are allowed one small suitcase and one personal item onboard with them. The dimensions for the carry-on suitcase cannot exceed 45 linear inches (the total length, width, and height). Don’t forget the TSA 3-1-1 rules regarding liquids. Liquid toiletries can’t be in containers larger than 3 ounces. And they must be sealed in a see-through one-quart resealable bag. One such resealable bag is allowed per person. To make security checkpoints as quick and easy as possible, keep electronics and liquids easily accessible. And even when you follow the rules, remember that it’s possible you’ll still have to check your bag at the last minute. Most airlines allow up to 2 bags to be checked for free on international flights. But be sure to check the specific restrictions for your flight when you purchase your ticket. Pay attention to weight restrictions: Overweight baggage fees on international flights can really add up! It’s sometimes cheaper to pay for an extra checked bag than to pay the fees for an overweight bag. If it’s an option, upgrading to premier economy or economy plus seating might allow for more free luggage. The cost of the upgraded ticket might balance out when compared to the extra baggage fee. We’ve carefully hand-selected a list of the best options for checked luggage on the market today. In order to compile our list, we analyzed honest, unbiased reviews across a range of consumer websites. We also took advice from industry professionals and expert travelers alike. 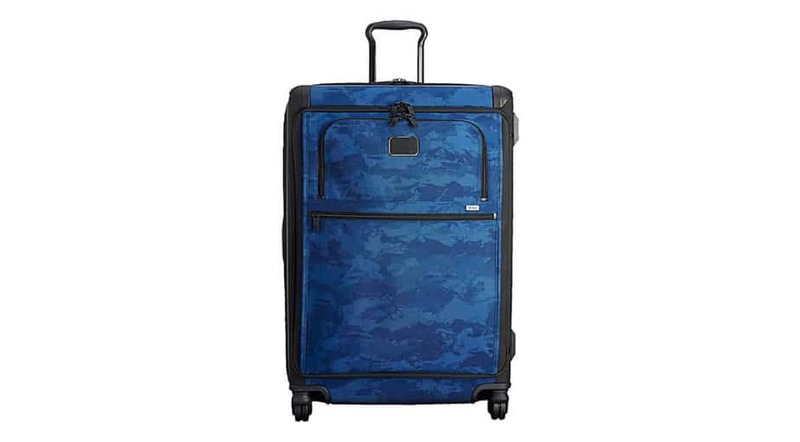 Based on all these factors, we narrowed it down to a top winner in the category of the Best Hard-Sided Luggage (the TUMI Latitude Extended Trip Packing Case) and in the category of the Best Soft-Sided Luggage (the Victorinox Werks Traveler 6.0 Softside Large Case). Take a look at our full list of winners up above for even more options. You’ve picked the best checked luggage. Now take your luggage to the next level with these highly rated accessories. OEE Luggage Packing Organizers: Pack neatly and efficiently with these space-saving bags. TSA-Approved Cable Luggage Locks: Keep your stuff safe while traveling with these luggage locks. TSA-Approved Clear Travel Toiletry Bag: Get through airport security fast with these quart-size bags, fully compliant with TSA 3-1-1 rules and regulations. Luxebell 110lbs Digital Luggage Scale: You’ll never pay overweight baggage fees again with this digital luggage scale. Almond Blossom Travel Luggage Strap: Easily identify your luggage with these beautiful luggage straps.